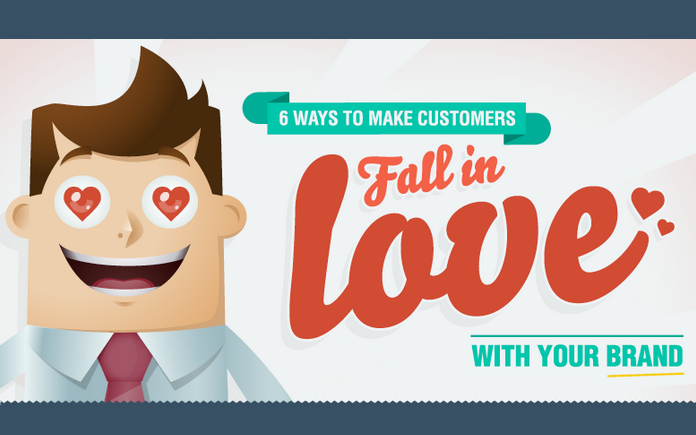 6 Ways To Make Customers Fall In Love With Your Brand [Infographic] ~ Visualistan '+g+"
To have a customer simply like your brand isn't enough; make them fall in love! 73% of consumers love a brand cause of friendly customer service. 70% of buying experiences are based on how the customer feels they are being treated. 55% of consumers would pay more for a better customer experience. 89% of consumers have stopped doing business with a company after experiencing poor customer service.